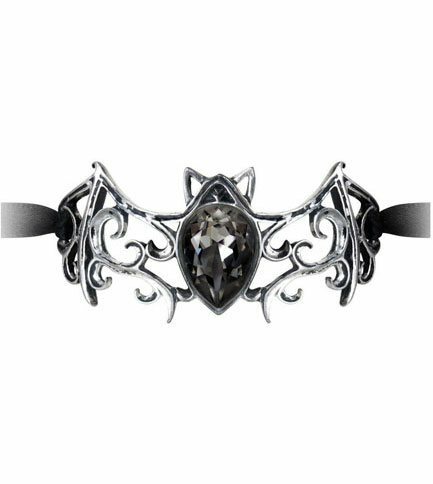 Dark cut crystal bat with Renaissance scroll work and black satin ribbon. 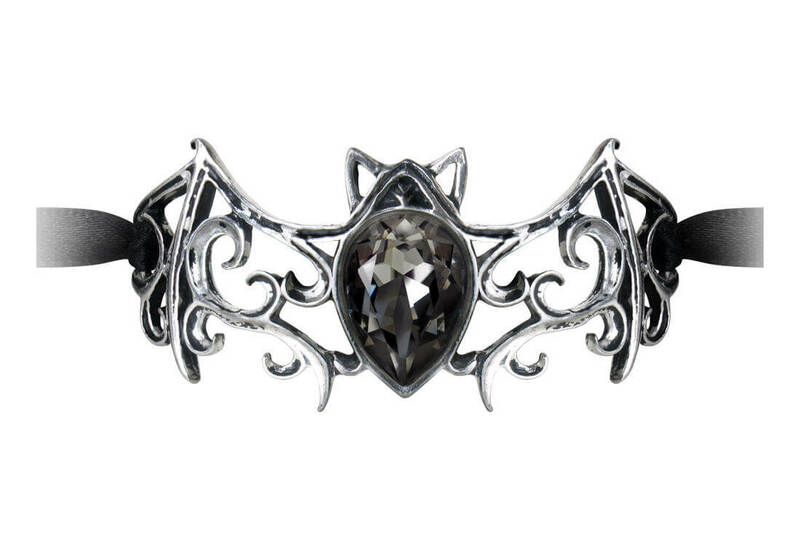 Made of fine English pewter with Swarovski crystal. Imported from the UK. Measures approximately 1.18 inches wide, 2.63 inches high and 0.27 inches deep.